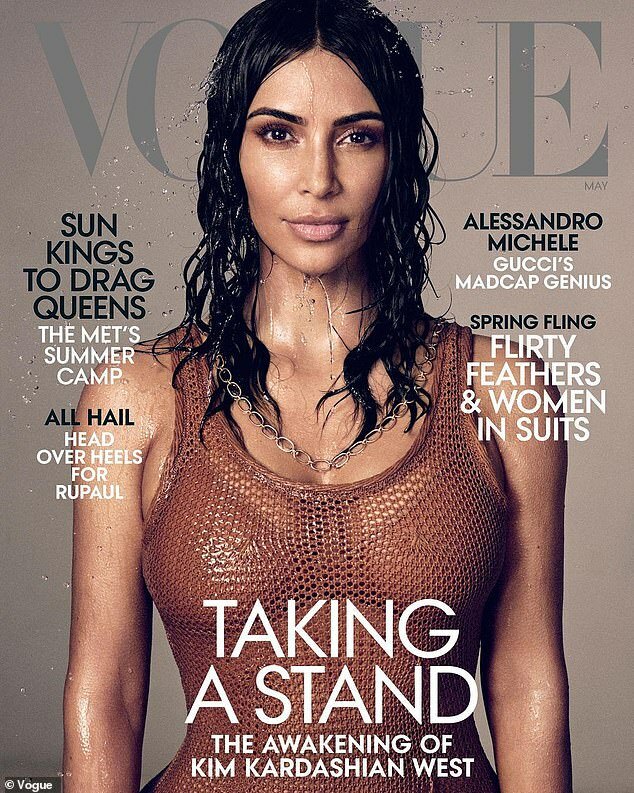 It's been five years since Kim's highly controversial wedding issue with the fashion bible where she graced the cover in her wedding gown while cosying up to her soon-to-be husband Kanye West in 2014. This time around, the focus is on only Kim as she discusses motherhood, her marriage to Kanye and her plans to study law. On Wednesday she tweeted: 'I’ve dreamed of this moment for so long, many said it would never come. Words cannot begin to express how much of an honour it is to have my first solo US cover of @VogueMagazine.